The Triumph Bonneville is a motorcycle produced by Triumph from 2001 to 2007. 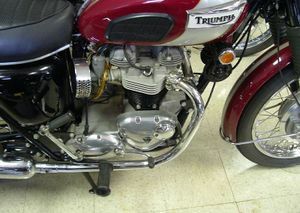 Triumph Bonneville is the name given to three separate motorcycle models from this notable British motorcycle marque. 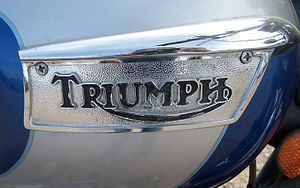 It is named after the Bonneville Salt Flats in the state of Utah, USA, where Triumph and other motorcycle companies made attempts on the world motorcycle speed records. All share a parallel-twin four stroke engine configuration. The current version, produced since 2001 by the modern successor of the original company, is a completely redesigned and re-engineered evolution of the original design. 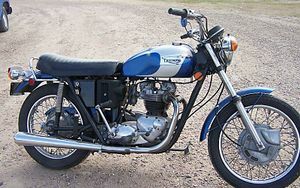 Since the arrival of the current 'Hinckley Bonneville' (produced in Hinckley, England), the earlier T120 and T140 (produced in Meriden, England) have been referred to as 'Meriden, West Midlands|Meriden Bonnevilles', to more easily distinguish between the versions. 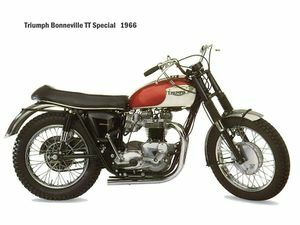 The original Triumph Bonneville was popular (particularly in its early years) for its performance compared to other available bikes. 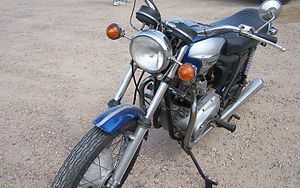 Although its motor was later enlarged to 750 cc, in the late 1970s and early 1980s sales greatly suffered in competition with more modern and reliable Japanese motorbikes from Honda and other manufacturers. 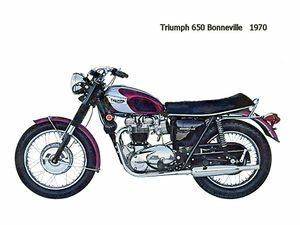 Many enthusiasts argue that the Bonneville's manufactured between 1968 and 1970 represent the machine at its peak. The decision to employ components common to both the BSA and Triumph range was only just starting to have an impact and at this stage could be argued to have been of benefit, the nightmare that would emerge from Umberslade Hall as the ultimate expression of the "shared component" policy in the form of the P39 oil in frame was still three years away, in the meantime development of the Bonneville continued to be carried out at Meriden. 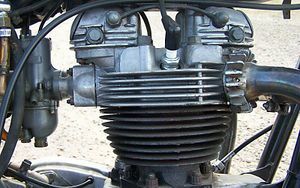 The 1968 machines saw the introduction of an excellent new, twin leading shoe front brake which eradicated one of the remaining areas of criticism for the Bonneville and was arguably the most successful product of the "shared component" policy. The new brake was housed in a new set of forks which benefited from two way damping, offering a considerable improvement in performance in comparison to the items previously employed and, together with a slightly longer swinging arm further reinforced the Bonneville's claim to be one of the best handling machines in the world. The handling was backed up by a genuine 115 mph top speed, confirmed by road tests carried out on both sides of the "pond", placing the model firmly at the top of the performance chart, although the slightly "edgy" power delivery, resolved for the following season by the adoption of heavier flywheels, did not meet with every ones approval. 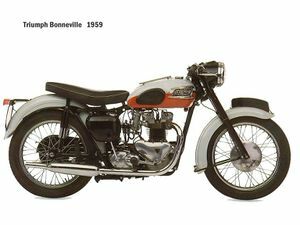 The Bonneville, originally introduced in 1959, benefited from a process of ongoing development throughout its production life which saw both major changes such as the introduction of unit construction (1963), new frame designs (1960 and 1963 being the most significant) and the adoption of twelve volt electrics for the 1966 season together with less obvious refinements. The 1967 machines were the first to adopt UNF threads in their construction, although at this stage they were confined to gearbox sub frame and petrol tank mountings. Other areas that received attention included the ignition system with revised points assemblies being specified and during the year Amal Concentric carburettors replaced the Monobloc items previously employed. Differences existed between the US and UK market machines, the former being fitted with stainless mudguards as opposed to painted ones employed for the home market, pancake airfilters were fitted to US market machines and the tank top parcel grid was deleted for the US. 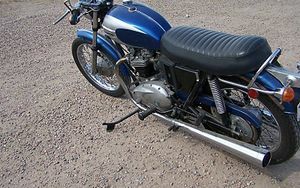 The Bonneville was offered with an aubergine over white petrol tank complimented by aubergine mudguards with a white stripe for the UK market, whilst, initially, the US models featured aubergine and gold petrol tanks. 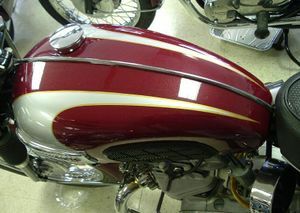 Unfortunately the gold paint employed degraded rapidly in the California sun and was quickly replaced by a white finish. Recognizable by the headlamp nacelle, generator, and remote fuel float bowl, these components were only featured on this year model. 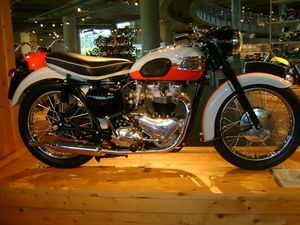 The Bonneville got its name due to the success of a team from Big D cycles in Dallas, Texas, that set a World Speed Record at the Bonneville Salt Flats in Utah with a Triumph powered streamliner. 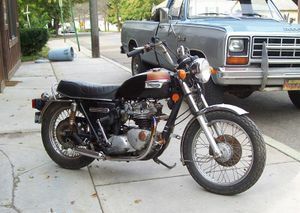 from a member - The page with the 1971 Triumph Bonneville pictures are mis-labeled. 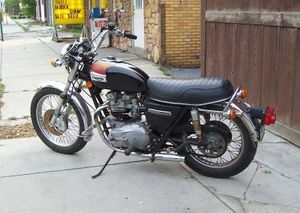 The bike shown is a Triumph Tiger 650. 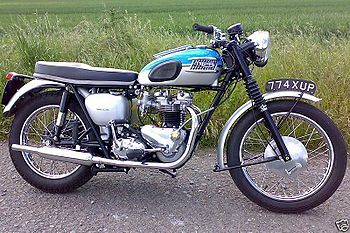 The bike could be a Trophy 650, but they were sold with high exhaust pipes on left side of bike and had other minor differences. 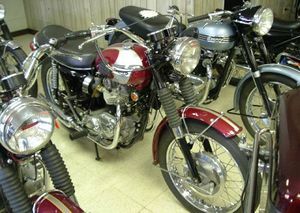 Bonnevilles had twin carbs and were sold with gold and white paint. 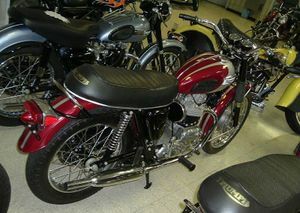 another member - This is listed as a Triumph Bonneville. 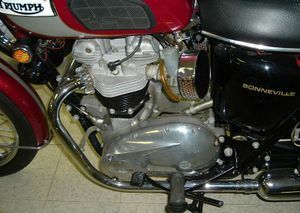 However, it only has one carb, so it cannot be a Bonneville. It might be a Trophy. This page was last edited on 21 January 2011, at 16:44.